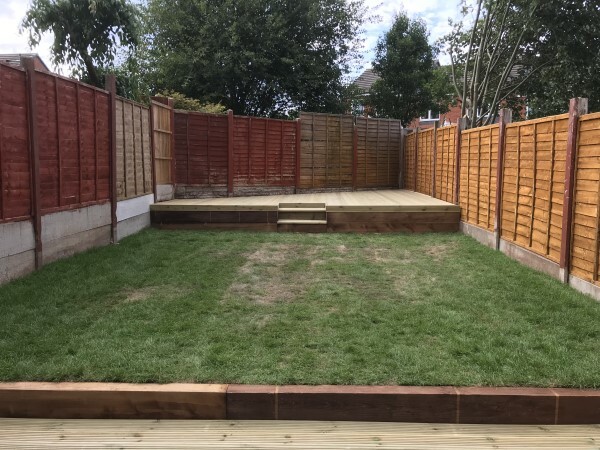 A selection of landscaping photos from 2018. 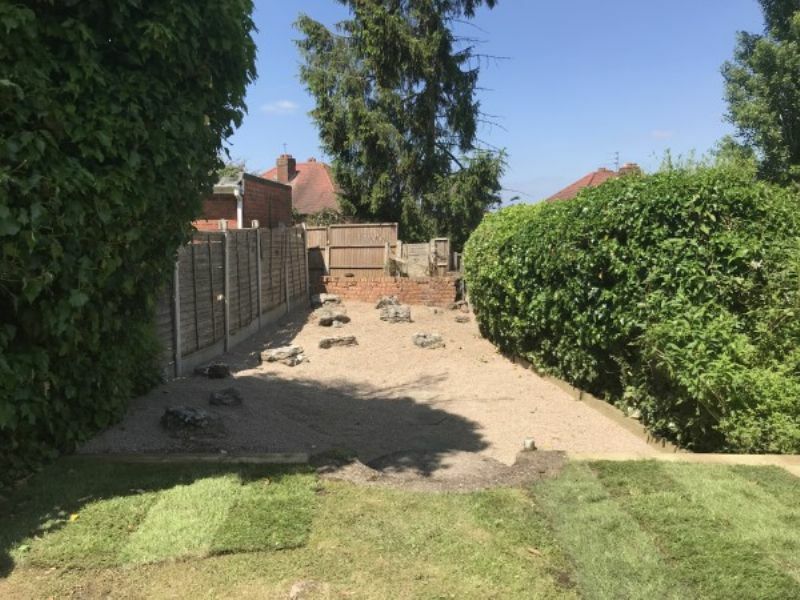 Here are a few soft landscaping photos from a selection of jobs over the year. Penn. 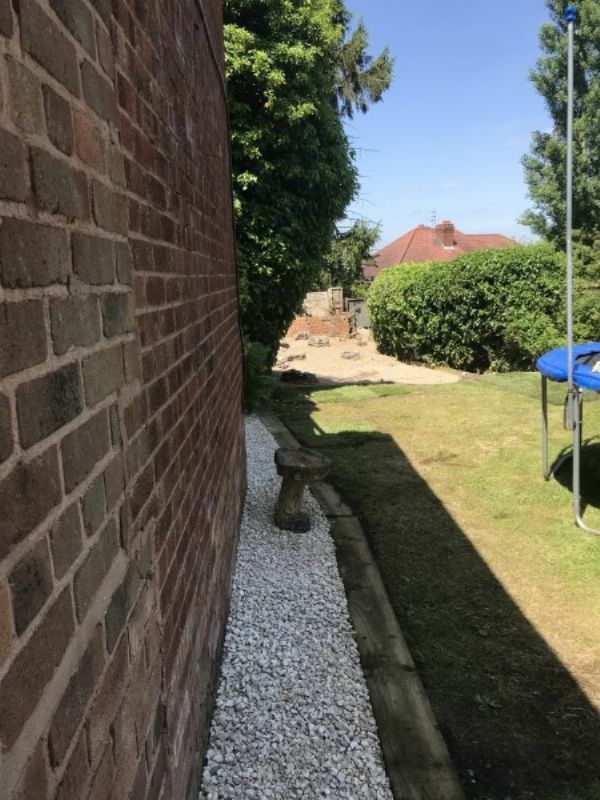 The customer wanted less maintenance works. 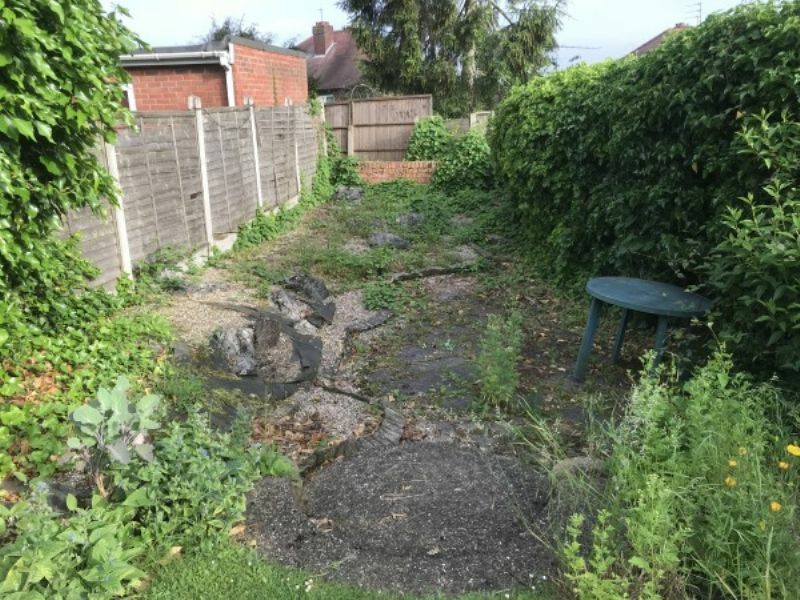 We cleared the garden free of weeds and laid gravel so they could make use of the land in the garden. 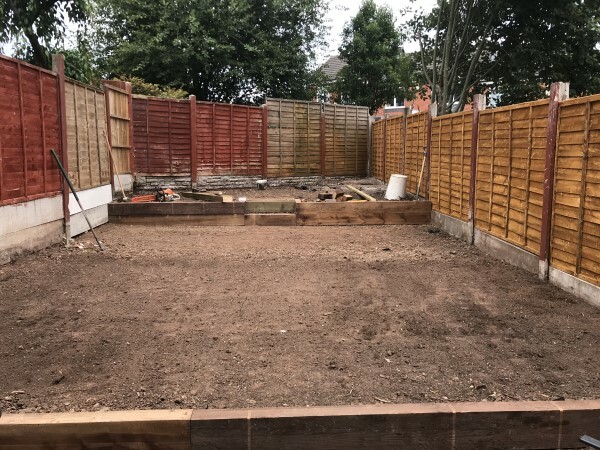 Create a child friendly garden for a repeat customer in Tipton. 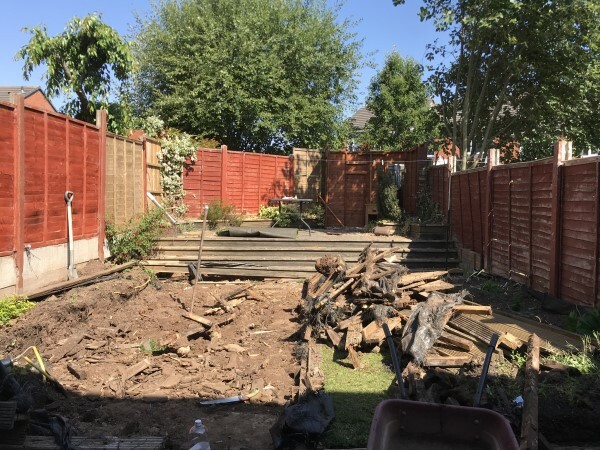 All the old decking is cleared out, new fence panels on the right and with started to put the railway sleeper walls in. The turfs down (few days before this photo) and struggling in 30oC heat!! The decking is coming along nicely. 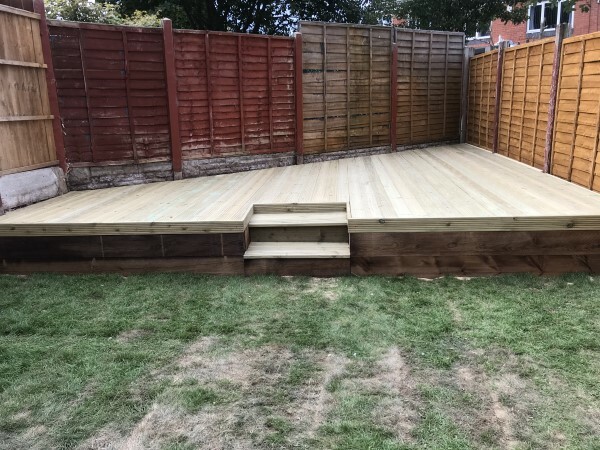 The raised decking area is complete and ready for a table and chairs. Job complete and another happy customer. 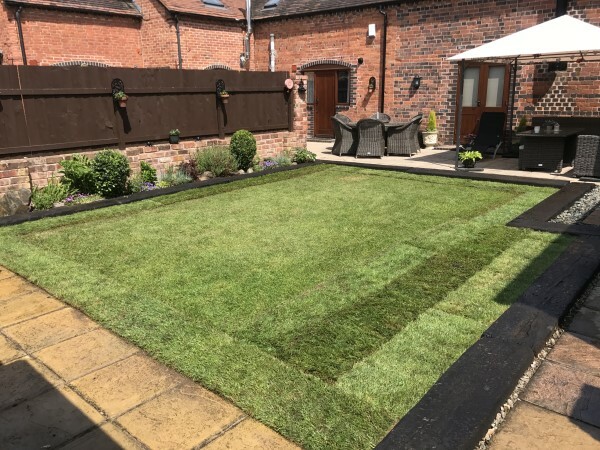 Reduce the borders and fill in with turf for a customer in Bobbington. Job complete, perfect straight lines with the sun shining down on this lovely garden. I have no hesitation in recommending the services of A&B Landscaping to anyone. 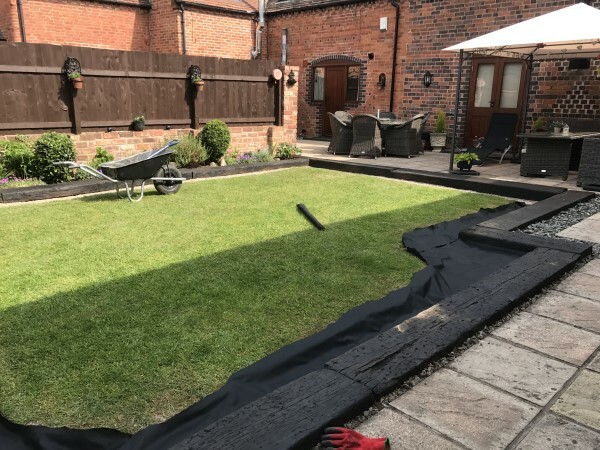 They have provided a professional and courteous service at our Wolverhampton facility for a number of years now, maintaining our grassed areas, hedges and controlling weeds. 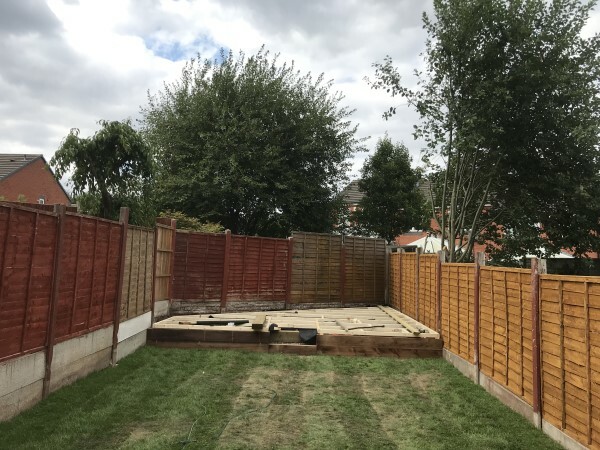 We have benefitted from all of this, their knowledge and advice and our site is much more pleasant and tidy as a result.